Nothing says ‘I love you’ like a spa weekend, a champagne brunch in bed, and a private pool beach villa. Pralines come close and bouquets are cute, but is there honestly anything sweeter than a romantic resort getaway for Valentine’s Day? The day of big love falls on a Thursday this year, meaning that it gives us ample opportunity to rock the socks off bae and whisk him or her away for a quick weekend escape. Many hotels are offering exclusive packages for the big day and beyond, and between couples’ massages and candlelit dinners, there is plenty to swoon for. Whether you like to party and prosecco or prefer pyjamas and pastries, there’s something here for every taste and traveler. After all, not everyone finds romance on a sun bed or with the sand between their toes, which is why we’ve put together a combination of not only island escapes, but also spa and nature retreats too, as well as a banging Bangkok staycation. Are you ready to fall head over heels (into a hotel bed)? Read on and prepare for that sweet baecation next week. 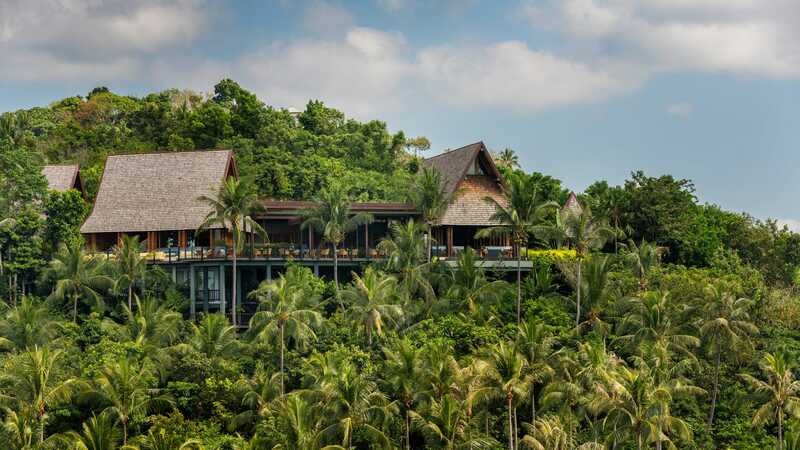 For those looking for a private and serene weekend escape, it doesn’t get much more idyllic than Koh Samui, and indeed no one does idyll like the Four Seasons Resort Koh Samui. This Valentine’s Day, the beachfront property is offering love birds an array of activities to choose from, ranging from beachside dining to spa treatments, over to a cruise on the resort’s luxury yacht. For a fuss-free wash-my-worries-away experience, book the ‘Island Romance Package’, which includes daily breakfast for two, a private candlelight dinner, THB 6000 spa credit, and – get this – a movie of your choice with popcorn and soft drinks at the private ‘Just the Two of Us’ cinema. Sure, we’ve had movie night dates before, but this one is likely to beat all. Be it a riveting love story or an action-packed blockbuster, consider this the ultimate island luxe Netflix and Chill. 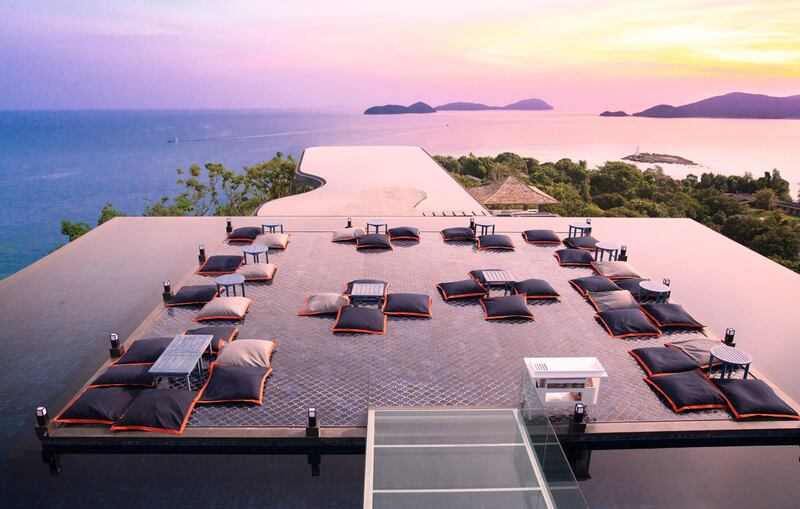 If you’re heading to Phuket, it doesn’t get trendier than Sri Panwa. And for those couples who know how and love to party, a private pool villa perched atop the infamous Cape Panwa will definitely hit the spot. Simultaneously an oasis of calm alongside a fabulous beach club destination, book the ‘Romantic Escape’ package for a fine couples’ retreat. The offer includes daily breakfast, a bottle of sparkling wine, and a complimentary mini bar, as well as an aromatic oil couples’ massage, and a 5-course candlelit dinner at Baba Soul Food. In fact, it’s a great opportunity to explore Baba Dining, from the beloved Baba Beach Club over to the Baba Nest or the Baba Cooking School. Prefer to stay in? With ample living space, it’s a fun location to turn up some tunes and throw an intimate Valentine’s Day house party for two. The Romantic Escape package runs from 11 February to 11 April, and 1 November to 23 December. Prices vary by season. 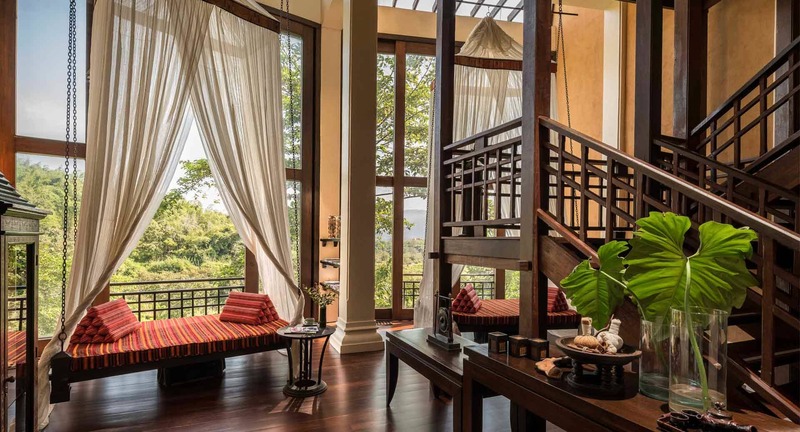 Not every couple lives for the beach, and for those love birds who’d rather catch binoculars over a bouquet, the Anantara Golden Triangle Elephant Camp & Resort may just offer the perfect trip. Allowing guests to really explore the Mekong River and journey through Thailand’s ancient Lanna Kingdom, the ‘Lanna Circuit’ package at the Chiang Rai resort provides much to discover, from Chiang Mai and the Golden Triangle in Thailand, and onto the old Lan Xang Kingdom in Laos. The journey starts at the Anantara Chiang Mai Resort, before guests are taken (via helicopter, no less) to the Anantara Golden Triangle Elephant Camp & Resort in Chiang Rai. Here they’ll get to choose from a range of resort activities for two nights, before heading onto a Mekong Kingdoms luxury river cruise. The adventure ends with two nights at the AVANI+ in Luang Prabang, before heading back to Bangkok after a week of what will likely make some really sweet memories. The Lanna Circuit package starts at THB 286,380 for two persons, and is ongoing. 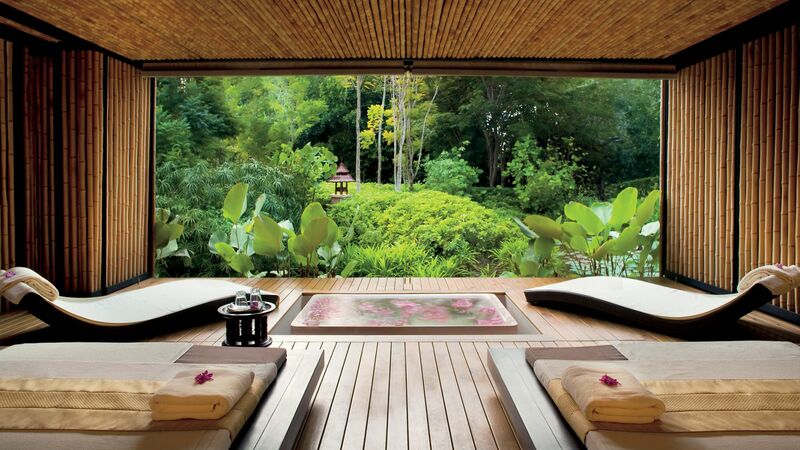 The Ritz Carlton Phulay Bay isn’t calling their couples’ offer the ‘Ultimate Romance’ package for no reason. Inclusive of daily breakfast, a 24-hour butler service, and a special turndown service which entails a floral bubble bath, the Krabi resort has the perfect recipe for romance and relaxation down. 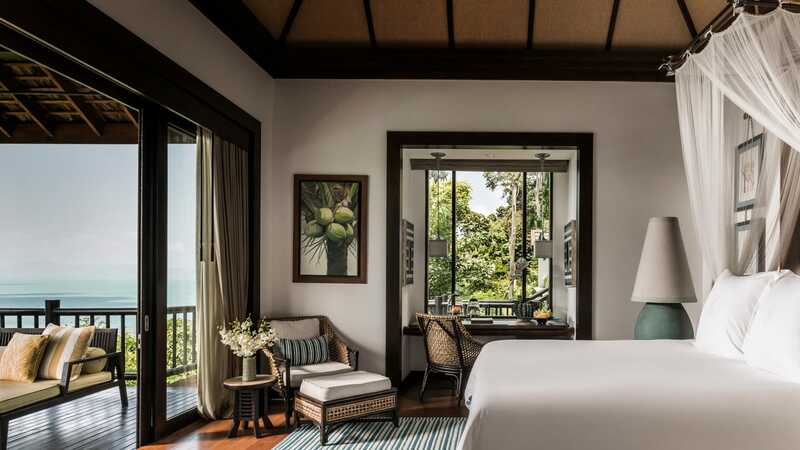 Beyond the common staples, the package includes a 90-minute Phulay Bay Spa Honeymoon ritual, as well as a private dinner at the elegant Sri Trang restaurant, and, most exclusively, a picnic lunch on Hong Island. It’s the perfect balance between exploration and relaxation, for the couple that wants to go out a little, but also stay in a lot. The Ultimate Romance package runs until 30 April 2019. Prices vary by season. Now for those of you who long for the sweet embrace of a staycation. 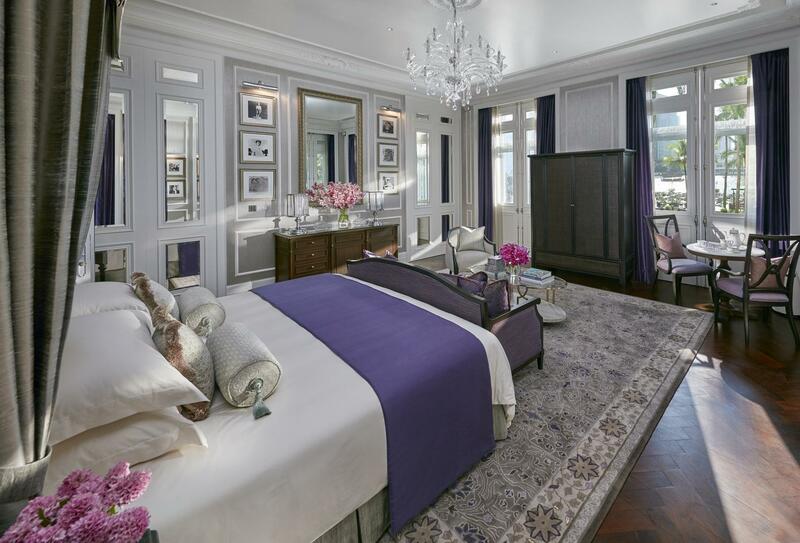 If there’s a hotel in Bangkok that scores sky-high points for being beautifully old school romantic, there’s no one in the game quite like the Mandarin Oriental. Available for three nights only, the ‘Valentine’s Day Staycation’ package here includes a bottle of Louis Roederer Rose 2010 delivered to the room, a romantic cooking class at the Oriental Cooking School, and either a Sunset Cruise aboard a Hacker-Craft mahogany boat, or an alfresco meal at Ciao Terrazza. On 14 February, enjoy an in-room caviar and Billecart Salmon Brut Reserve breakfast, before an exclusive wine pairing dinner at Lord Jim’s in the evening. Throughout your stay, you’ll also be invited to enjoy an Exclusive Luxury Spa Package with private treatments in the Oriental Suite or Deluxe Suite, and between a Sweet Cocoa Scrub, an Oriental Lush Massage, and a rose petal bath, you may not have left Bangkok, but you’ll definitely feel like you’re in heaven. The Valentine’s Day Staycation package starts from THB 80,000++ per couple, and run from 13-15 February 2019.